FORT LAUDERDALE, Fla. - Surveillance video released Monday shows the moment a small plane crashed into an autism therapy center in Fort Lauderdale. The crash occurred around 1:30 p.m. Saturday in the 1000 block of West Cypress Creek Road. "I saw the airplane pass just over me and the engine (went), 'put, put, put,' and after I see black smoke," witness Gerald Houle said. 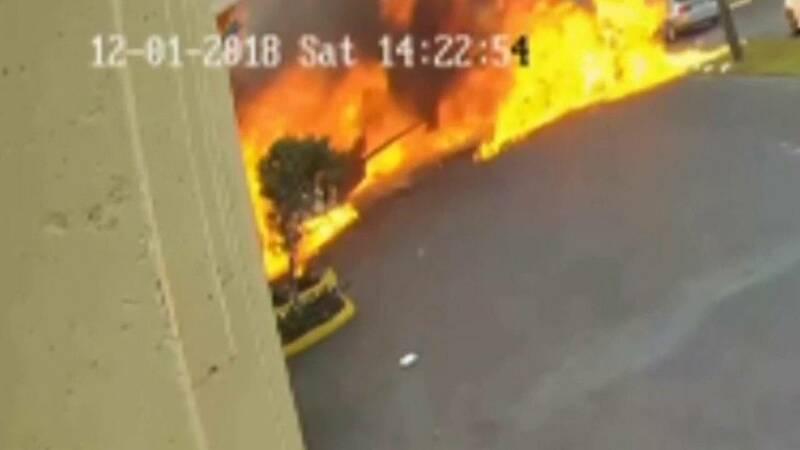 The video shows the plane skidding down the street before crashing into the building and catching fire. Moments later, adults and children can be seen running from the building. "As soon as it happened, it was literally in flames. It happened that quick," witness Kyla Robinson said. "There was nothing anybody could do. Just flames. That's all it was." 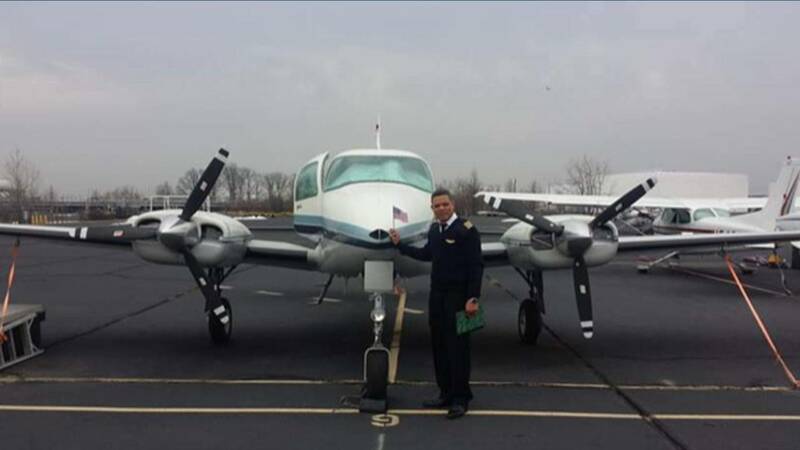 Family members said pilot Eladio Marquez was killed in the plane crash. Authorities said two people inside the plane were killed. Their identities have not been released by authorities, however the pilot's wife confirmed to Local 10 News that her husband, Eladio Marquez, was killed in the crash. Marquez was a flight instructor and owned the plane, which is registered in New Jersey. Marquez's wife told Local 10 News reporter Andrew Perez that her husband loved what he did and was very passionate about flying. Battalion Chief Steven Gollan, a spokesman for the Fort Lauderdale Fire-Rescue Department, said teachers and children were inside the building when the plane crashed. One of the teachers suffered minor injuries as she ushered the children from the building, but she was not hospitalized. Officials said there were eight staff members and six children inside the building at the time of the crash. Regional director Claudia Axelrod described the moments she and her staff members jumped into action as the roof began to collapse and the building went up in flames. Their focus was the children. "They felt the building shake, and they thought it was a car that probably hit," Axelrod said. "Quickly, the door began to catch on fire, so they grabbed each child. The person in charge started to shout, 'You have this one, you have this one,' to make sure that everyone was accounted for." Everyone inside the building made it out safely. Firefighters who battled the blaze stopped it from spreading to other business, calling staff members who rushed the half-dozen children to safety the real heroes. "Our condolences with the families of the two people that passed away today in this tragedy," Axelrod said. "Our prayers are with you." A view from Sky 10 showed foam-covered debris littered across the parking lot. The front facade of the concrete building suffered heavy damage. The crash left a large amount of jet fuel on the ground, complicating the firefighting efforts, Gollan said. The Federal Aviation Administration said the plane was a Cessna 335, which had just taken off from Fort Lauderdale Executive Airport. The plane was en route to Hilliard, a town in north Florida, the FAA said. "I heard the plane engines popping, about three times, 'bang, bang, bang,' and then it went right by me," another witness, David Devine, said. The National Transportation Safety Board is investigating the crash.